Working with a local high school, developed a summative assessment to determine information literacy skills. The final product is a set of 50 multiple choice questions that are tailored to include topics, assignments, or subjects that are familiar to students in the school. Developed for students in grade 9 and is intended to be used as a pre and post assessment. View a short Google Presentation on the purpose of the assessment here. View the bank of test questions here. Wrote a chapter in the e-book Information Literacy in the Wild as a final reflection on the previous project. The book is available online, for free, at Smashwords. Fontichiaro, Kristin, ed. Information Literacy in the Wild. Smashwords, 2011. Smashwords. 16 Dec. 2011. Web.. Co-author, with Kristin Fontichiaro, of this non-fiction book from Cherry Creek Publishing. Fontichiaro, Kristin, and Emily Johnson. Super Smart Information Strategies. Forming Great Research Questions. Ann Arbor, MI: Chery Lake Pub., 2013. Print. 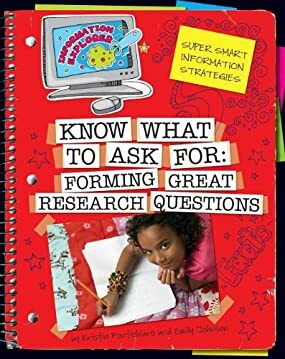 Co-authored, with Jan Dohner, a lesson plan for a research project that utilized the resources available at a school library, while engaging students with new technology, and meeting the Common Core State Standards. Published by Cherry Creek Publishing. Edited by Kristin Fontichiaro. Fontichiaro, Kristin. 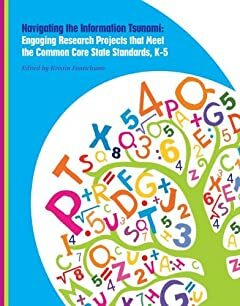 Navigating the Information Tsunami: Engaging Research Projects That Meet the Common Core State Standards, K-5. Ann Arbor, MI: Cherry Lake Pub., 2013. Print.